Markus: To be a part of the Simmer Style photoshoot was an amazing experience. I had a lot of fun and the new gear is sick! Unfortunately we only got to film two avarage Hookipa sessions for this episode but I'm still happy with how it came out in the end. Can't wait till next Maui trip and Simmer Style photoshoot!" 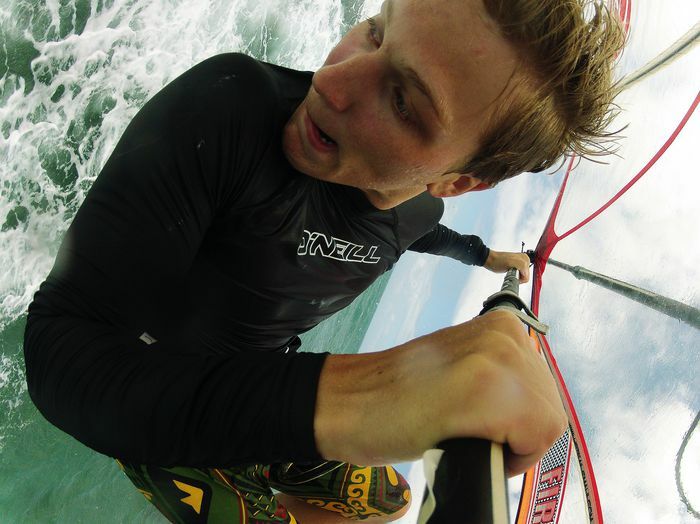 Pod #4 - Maui No Ka Oi - Markus Rydberg from MacG Productions on Vimeo. I'm happy with it and can't wait to shoot the next episode! ...So exiting i thought I should drop the latest episode in my video podcast. MacG Productions followed me in Sweden as I was recovering from a small injury I got in South Africa. I worked really hard and trained a lot in the gym together with a physio. I also got a few day on the water but mainly like 5,6 and small waves. But it was perect to feel out my knee and if the rehab had worked. Other than that I played some icehockey and enjoyed a ski trip. Well, hopefully I will have some action shoots from Maui for you online soon! Pod #3 - Recovery from MacG Productions on Vimeo. The winter here in Sweden has been super cold and long this year, it feels like it never ends... But I have had a few sessions with pretty good but cold conditions. We were shooting with MacG Productions on two of them. During the first session we had -3 degrees, a lot of snow and small waves. But it was such a great experience to be out sailing in those extreme conditions! During the second session it was a bit better waves and I manage to nail som jumps and rides. But it was super cold when you fell into the water, which was 0 degrees.. Anyway, here is an edit of the shoots I manage to get thanks to Gustav and Ola Häggström who was on the beach filming! Winter from MacG Productions on Vimeo. 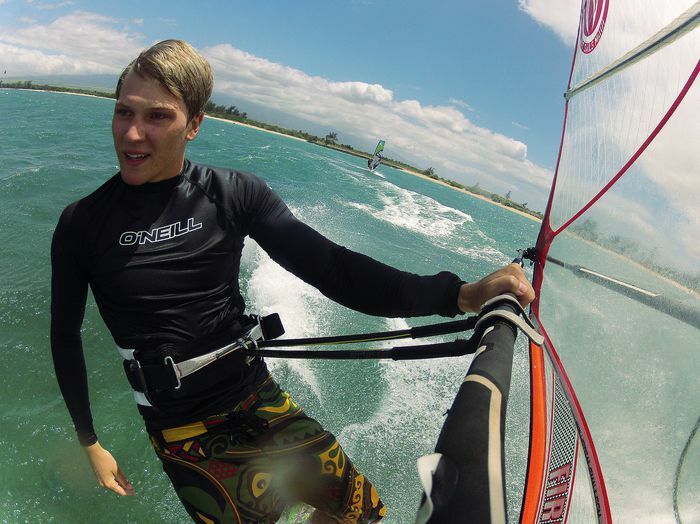 I'm stoked to announce that I have been promoted to Hot Sails Maui's international team. It feels great to represent the brand and the awesome people behind it! 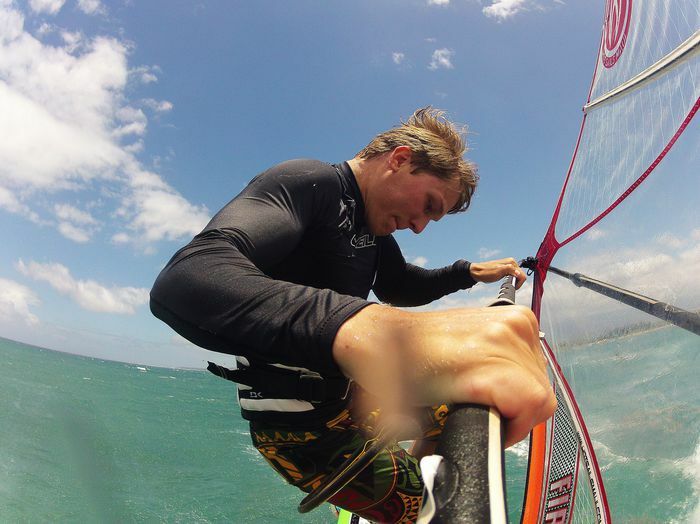 I do look forward to the future together with them and to keep on sailing with the best sails on the market! I celibrate this good news with a new edit called "Crave", Enjoy! Check out MacG Productions latest video "When summer ends", that is about the swedish fall! Now I am back from Denmark. Me an Emma had an awesome week and I will post some pictures in another post. Me and my rippin friend Lil G have started a film project called MacG Productions. We are stoked and will do our best to give you nice edits! Idag körde jag "the office" igen. Det är ett riktigt kul spot som påminner lite om hemma. Här är ett klipp när jag gör en bakåt. Det är riktigt kul att slänga på GoPro:n ibland. Köpte anti-fog-tussar som jag har satt in och de funkar skitbra, immar ingenting. Här är ett klipp på en bakåt och några bilder. Today I went to sail my favourite jumping spot again. Bought anti-fog inserts to my GoPro before the session, and the worked really good! Here is a clip when I do a backloop and some pictures, enjoy! Laddar inför Maui med lite videos från 2011. Peace! Yezzir, nu är Maui helt bokat och klart! Fan va nice det kommer bli! !